Add a festive twist to this cold weather classic with the addition of crushed candy canes. Don’t forget the whipped topping to make this the best Peppermint Hot Chocolate you’ve ever had. Spoon crushed candy into mug. 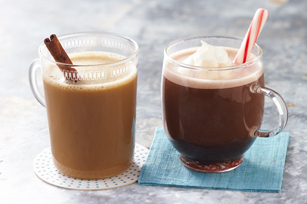 Prepare 1 Tassimo Cadbury Hot Chocolate in same mug; stir until candy is completely dissolved.